Theater in the Now: Always...Patsy Cline with Crystal Bowersox on Broadway? Always...Patsy Cline with Crystal Bowersox on Broadway? Did you "Fall to Pieces" after reading this "Crazy" headline? Are you still bummed that there won't be an American Idol quote on Broadway after the Bo Bice lead Pump Boys and Dinettes has postponed? Well, there's a chance Always...Patsy Cline is headed to Broadway this summer starring American Idol runner up Crystal Bowersox. 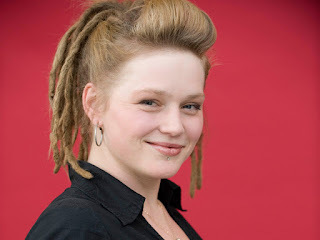 Bowersox, known for her sulty voice and dreads, will play the role of the iconic singer. While I think she's a little more suited to play Janis Joplin (anyone remember her "Me and Bobby McGee" on American Idol? pretty killer! ), it will be interesting to see her play Cline.